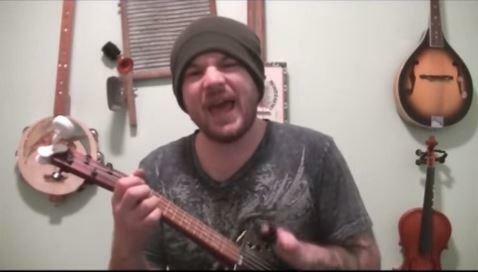 In this video lesson, Dan shows you how to play the song “Freight Train”. This one has a little more advanced chord progression, but it’s a great song to add to your toolbag. 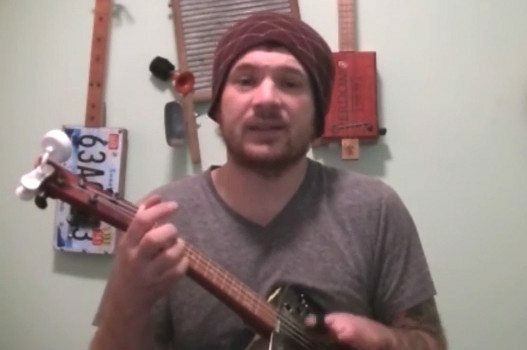 In this video lesson, Dan Russell shows you how to play the classic Johnny Cash song “I Still Miss Someone” on the cigar box ukulele. A number of other big-name performers have also recorded the tune, including Emmy Lou Harris, Stevie Nicks, Don King, Flatt & Scruggs and even Jimmy Buffett. 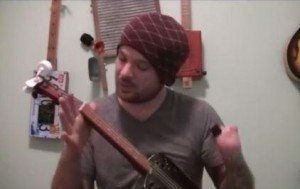 In this video lesson, Dan Russell shows you how to play the old folk/country song “If I Needed You” on the cigar box ukulele. This one was written by Townes Van Zandt and has been recorded by Emmy Lou Harris and other well-known performers. In this video lesson, Dan shows you how to play the song “In the Pines”. This is a great old folk/bluegrass/mountain song, a plaintive tale of longing and regret. Believed to have originated in the 1870’s, it has been recorded many times over the years, by artists such as Lead Belly, Ralph Stanley, Bill Monroe, Dave Van Ronk, Joan Baez, The Oakridge Boys, Dolly Parton and even Nirvana did a version. Everything you need to know about using the “Open A” A-E-A tuning on your 3-string cigar box guitar. This article gives you the exact strings to use to achieve this tuning on a cigar box guitar (or other instrument) that has a scale length in the range of 24.5 to 25.5 inches. 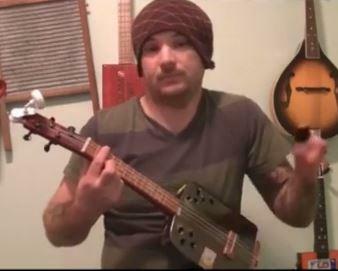 Everything you need to know about using the “Open D” D-A-D tuning on your 3-string cigar box guitar. 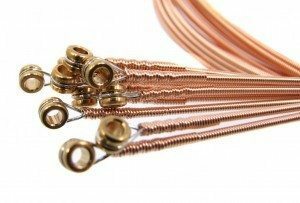 The Open E tuning is not seen as often as the more popular GDG and DAD tunings, but it is a great alternative for cigar box guitar players, especially if you are playing a lot of blues. 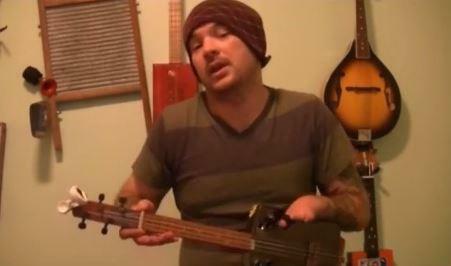 Shane Speal used this tuning on his recent album Holler!, on the track Big Leg Woman/Swing the Hammer. Of all of the three-string cigar box guitar tunings, the most popular is probably the G D G open G tuning. Featured on many how-to-play videos on YouTube and CigarBoxNation.com, this tuning has become the de facto standard for 3-string slide blues. In this video lesson, Dan shows you how to play the song “Roll Me Up and Smoke Me When I Die”, a fairly recent release by Willie Nelson. Willie released this on his “Heroes” album in 2012, and it kind of sums up his long, often “smoky” career. In this video lesson, Dan Russell shows you how to play the old song “Stagger Lee” (also known as Stack-o-Lee, Stag-o-Lee and other titles) on the cigar box ukulele This classic number is part blues, part cajun and part history, and has been performed Mississippi John Hurt, Dr. John and many more musicians. 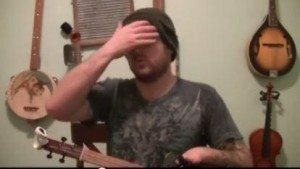 Five basic uke chords are used in this lesson, and while the progression is not what would be considered “standard”, it is still a nice easy one to play. 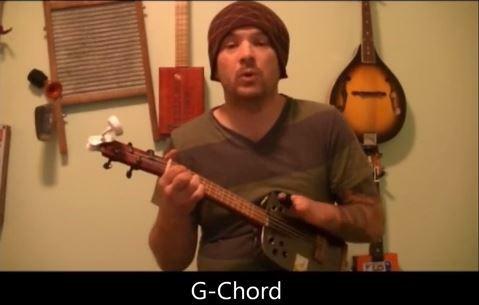 In this video lesson, Dan shows you how to play the song “Take ’em Away” by the Old Crow Medicine Show on the cigar box ukulele. Like many popular songs, this one is a “three-chorder” – just C, F and G being needed to play it. This old American blues/folk song was recorded by Alan Lomax and first published in 1934. It has been recorded and released by a number of folk singers over the years, including The Byrds, Old Crow Medicine Show, Woodie Guthrie, Jerry Garcia and even the Flying Burrito Brothers! 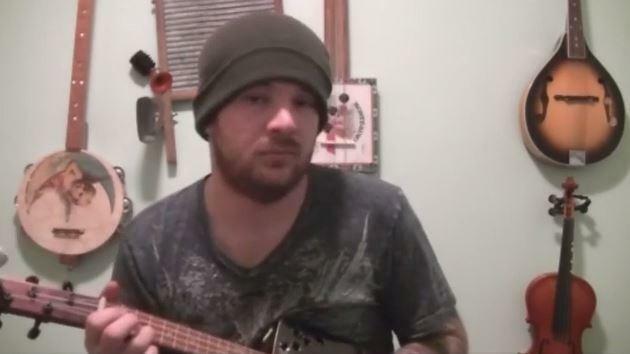 In this video lesson, Dan shows you how to play the old blues song “The Midnight Special”. This was a traditional folk song first popularized by Lead Belly, and has been recorded by many other artists such as Big Bill Broonzy, The Beatles, Burl Ives, Van Morrison, Creedence Clearwater Revival, Eric Clapton and Paul McCartney.